The verdict is in. In a killer move, ABC has renewed its hit How to Get Away with Murder TV series for a third season. Shondaland rejoices! This renewal is one of 15 announced by ABC. 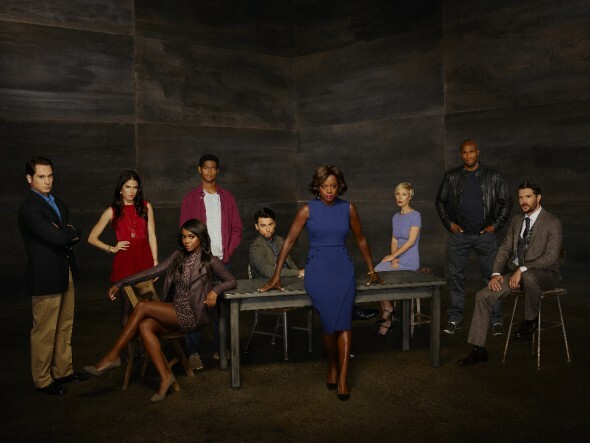 The cast of How to Get Away with Murder includes: Viola Davis, Billy Brown, Alfred Enoch, Jack Falahee, Aja Naomi King, Matt McGorry, Karla Souza, Charlie Weber, and Liza Weil. “How to Get Away with Murder” was created and is executive produced by Pete Nowalk (“Scandal,” “Grey’s Anatomy“). Shonda Rhimes (“Scandal,” “Grey’s Anatomy”), Betsy Beers (“Scandal,” “Grey’s Anatomy”) and Bill D’Elia (“Grey’s Anatomy,” “The West Wing“) also serve as executive producers. “How to Get Away with Murder” is produced by ABC Studios. ABC has also renewed: America’s Funniest Home Videos, The Bachelor, Black-ish, Dancing with the Stars, Fresh Off the Boat, The Goldbergs, Grey’s Anatomy, Marvel’s Agents of SHIELD, The Middle, Modern Family, Once Upon a Time, Scandal, Shark Tank, and Quantico. Have you watched the first two seasons of How to Get Away with Murder? Do you plan on watching the third season? Why do you think this show has done so well? Let us know, below. Wonderful, exciting, terrifying, edge of your seat!! Crazy!! Home from work with tummy virus. Ran across this show on Netflix! Couldn’t turn it off! Couple more episodes and I’ll be caught up!! Can’t wait for new season! Acting is amazing! Asher, stop looking into cameras! Although I understand your character is what it is! Makes it a bit confusing when you look at camera’s!